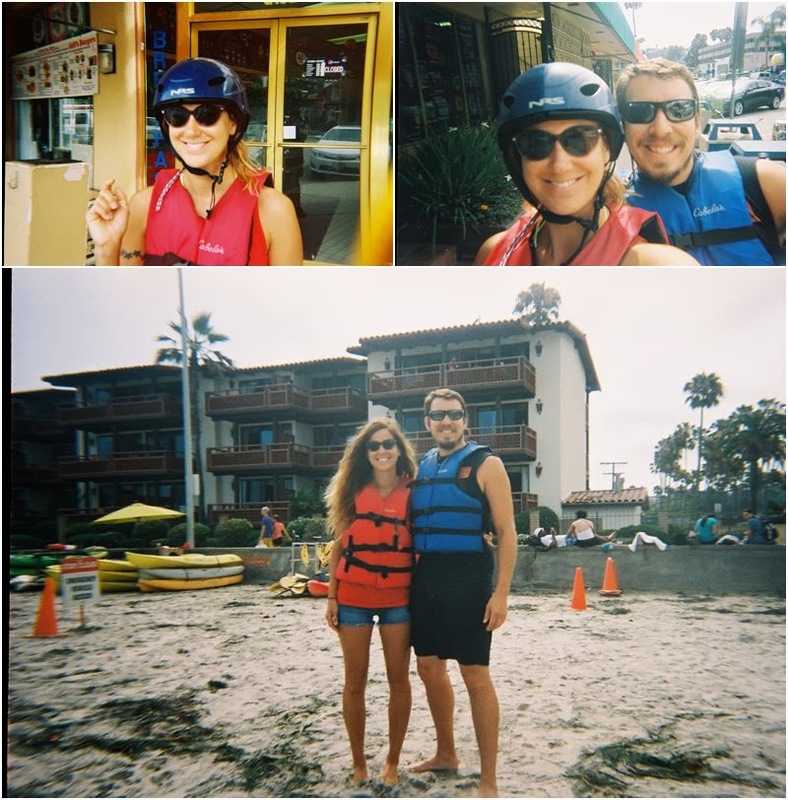 As I mentioned in this post, Ian and I recently when on a kayak tour and I finally got my CD of the pictures back! 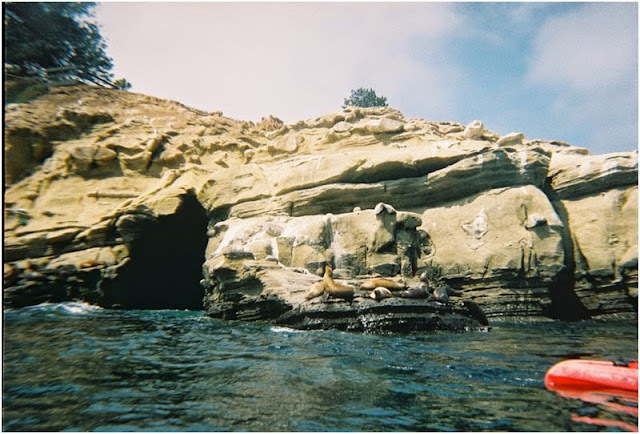 We had to buy a disposable underwater camera, in case we tipped (thank goodness we didn't), and I got a CD made at Walgreens (who knew they still developed regular film?!). I thought I would post our pictures in a separate post since the other was a few days ago and was already full of pictures. Plus, I finally got BlogStomp so I wanted to try it out here! I got a Groupon for the tour and we used Bike and Kayak Tours to take us out. 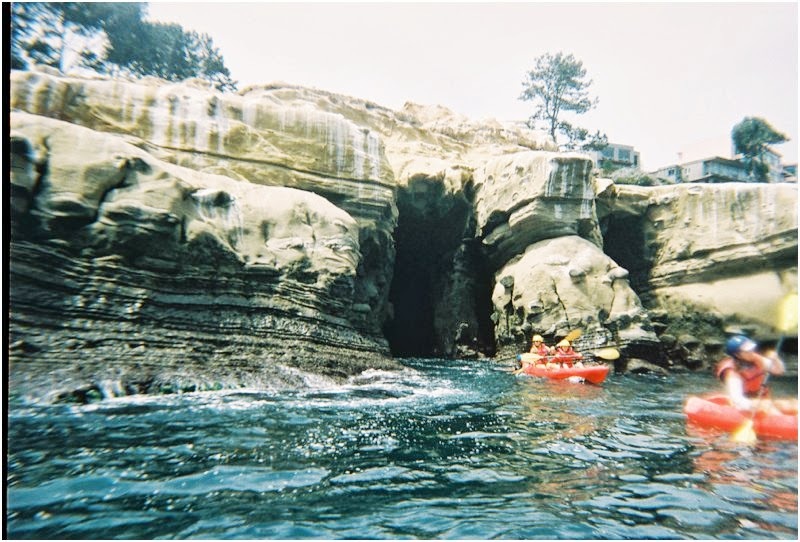 We saw some other tour groups while out on the open ocean and I am happy we picked this one, they seemed really professional, knowledgeable, safe and really put my mind at ease because I was SO NERVOUS (I had never been kayaking before and love the beach but hate the ocean!). Our two tour guides were awesome! 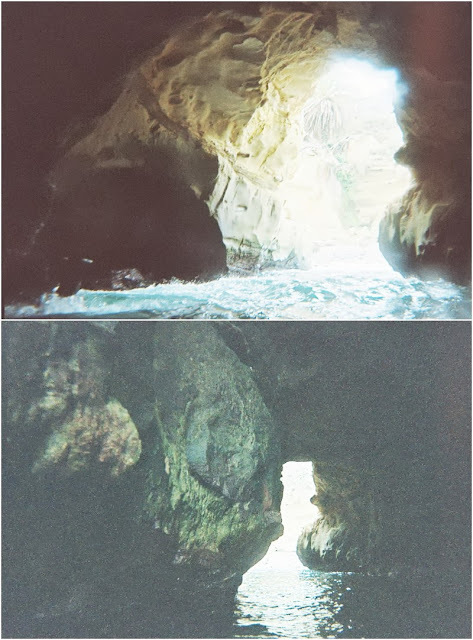 The pictures turned out kind of grainy, because they are actual film, but I think that makes them look even cooler. I highly suggest this 2 hour trip, and this company - it was SO MUCH FUN!